Oxford University Press, 2017. 280 pages. $27.95, hardcover. With the Islamic State largely defeated in Iraq, the country could move on to better governance and peace. However, it could just as easily repeat the mistakes of the past and lead to a resurgence of al-Qaeda or the birth of yet another extremist movement. 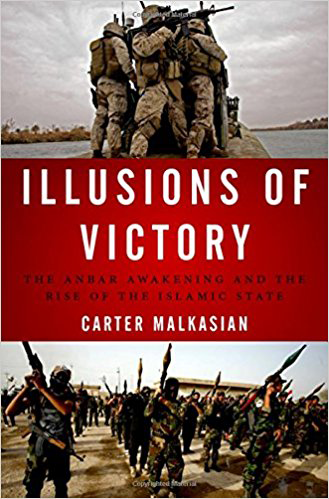 Those who want a deeper understanding of what to look for could do no better than to read Carter Malkasian's Illusions of Victory: The Anbar Awakening and the Rise of the Islamic State. The Anbar events have been reduced to a simplistic short story: al-Qaeda alienated the Sunni tribes of Anbar, the tribes revolted, and the American surge and a brilliant change in tactics supported them and led to victory. From this simple story, far too many have drawn the lesson that, if only the United States will support traditional tribal leaders in Afghanistan or other places, victory may be gained in the same way. While there are elements of truth in this version, it leaves out an enormous number of very particular factors, personalities and tribal splits that both led to a temporary victory and contained the seeds of long-term failure. Particularly important is the fact that the simple story fails to account for how and why al-Qaeda retained strong popular support and why the success remains so fragile. Malkasian served as a political adviser in Anbar in 2004 and 2006 and visited repeatedly thereafter to observe and collect much of the first-hand material on which his book is based. It is enriched by the perspectives he gained in Afghanistan, first as a district adviser for two years in the Garmser district of Helmand province and later as a political adviser to then commanding general in Afghanistan, Joseph Dunford. Malkasian's Afghan service led to an excellent book, War Comes to Garmser: Thirty Years of Conflict on the Afghan Frontier. In returning his gaze to Iraq, Malkasian decided to study Anbar in depth. A gifted and lucid writer, he debated how much detail of tribal names and leaders to include, understanding that so much detail risked some limiting of his readership. I believe his decision was correct. It is only by immersion in the plethora of personalities and tribes that one can understand the fragility of the undertaking and the long-standing tensions that it papered over. The detail does not obscure the clarity of the story: it allows the reader to gain at least an initial understanding of how religion and the inner workings of Iraqi society influenced events, and why a tale focused only on military developments has led to a great deal of misunderstanding of what actually happened. The book sets the scene for the awaking with an overview of the initial reaction of the Sunni population to the U.S. invasion, the gradually growing resistance and the two battles of Fallujah. It tracks the many splits in the Sunni community and the different reasons people joined the resistance — some to liberate their country from the foreigners but others for positions and power within the new government. Tensions inside and between tribes often led to different factions of the same tribe being both in and out of the insurgency at the same time. The theme of the tensions within and between tribes is one that Malkasian details throughout the story. These constant kaleidoscopic shifts in the tribal picture made understanding what was happening endlessly difficult, not only for foreigners but for Iraqis themselves, since guessing wrong about power and change could be disastrous for the tribesmen themselves. To add to the complexity, control of smuggling routes often counted as much as ideology or politics for decisions of tribal leaders and had to be factored into coalition military thinking. While Malkasian does not dwell on it, this alignment of criminality with pacification poses a serious conceptual problem for those who think moving quickly to better governance is a key to success in counterinsurgency. One of the most important sections of the book concerns the failed effort of some tribes to rise up against the insurgency in the fall of 2005. Several tribal leaders in Ramadi began to consider opposing the insurgency. They wanted to gain positions in the December elections and were willing to open negotiations if some of their grievances with the Shia-dominated national government were addressed and U.S. withdrawal could be expedited. In numerous meetings with leading coalition commanders and the State Department's Lane Bahl, they worked out an agreement: U.S. marines and army units pulled back, and local forces began to form, to suppress violence and take control. U.S. commanders like Marine Brigadier General Jim Williams (deputy commander of the 2nd Marine Division) and U.S. Army colonel John Grondki, now neglected by history, were among those who had already begun to deploy U.S. platoons in small bases, the same change in tactics that was to become famous as a novel discovery later. However, under the new agreement, the tribal leaders wanted nothing to do with coalition forces. They wanted to make clear that they were in control. Within two months there was a noticeable reduction of violence. Unfortunately, it was not to last. Al-Qaeda — or al-Qaeda in Iraq (AQI), as the book designates them to note the particularly Iraqi character of the movement — was assessing the situation. It struck back with a series of well-planned assassinations that destroyed the leadership of the new council and killed its most prominent leaders. Lesser men flocked to make peace with AQI. The reasons for the failure of this early forerunner of the awakening are instructive. One was that the leaders had not built a deep base of support. Tribal and community feelings were divided and loyalty was low, particularly when the resources to buy it were limited (hence the importance of controlling smuggling routes). Many of the assassins were from the same tribes as the leaders they killed. Money talked, and hiring fighters was not difficult. Many religious leaders were sympathetic to the insurgency. All of these factors would reemerge in the next phase of the awakening and in its aftermath. With AQI again dominating the scene in Anbar, the war entered some of its darkest days. The book works though successive efforts of U.S. commanders to try new tactics and approaches. The Iraqi army largely failed, with Sunni soldiers deserting rather than fight their fellow Sunnis and the Shia soldiers despised by much of the population. The Baghdad government, suspicious of any Sunni power, regularly undercut progress by withholding pay for Sunni soldiers and security forces. However, there was a slow change as local police began to take up their tasks. They were predominately from three tribes that had been active in the previous movement, and for various reasons detailed in the book, were less daunted by the previous attacks and the new ones that were launched as soon as they stood up in the police. Their leaders, particularly the late Abdul Sittar of the Albu Risha, were not major tribal figures, but they did enjoy a strong base of support in their clans and sub-tribes. This cohesive base of support was to be critical in the awakening. The reasons that brought these leaders into the fight were diverse, though the often cited excessive violence of AQI was not a major factor at this time. AQI would target those who opposed them but generally left others alone if they stayed out of the fight. Power, influence and control of resources, including smuggling routes, were more important factors. In this lay the seeds of future recurrent problem: blood feuds and tribal infighting over resources made tribal unity in the face of the AQI challenge difficult to maintain. Initially, much of the resistance to AQI was in the shadows, difficult for coalition commanders to fully understand. What they did know they were careful to keep confidential, so as not to expose leaders to greater retaliation. As the fighting between these tribal elements and AQI became fiercer, the tribal leaders began to ask for greater U.S. assistance. Eventually, agreement was reached and a new agreement was sent to Prime Minister Malaki declaring the formation of the Sahawa al-Anbar. The new organization differed from the previous provincial security committee in several respects. It made clear that the tribal leaders, only from three tribes at this point (the Albu Risha, the Albu Al Jassim and the Albu Thiyab), were prepared to fight with the U.S. forces against AQI. Above all, it was a demand for power, including a new provincial council and control of major provincial government positions. A major difference between the new movement and its predecessor was that the three tribes were on the whole more cohesive than others in Anbar. They did suffer from infiltration by AQI loyalists but were generally better positioned by geography and internal clan loyalties to withstand the challenge. U.S. commanders moved carefully to support them, bringing important new economic resources to the leaders as well as training and advice in return for police recruits, while doing everything possible to avoid an open break with senior provincial leaders appointed by Baghdad. Money helped the tribal leaders rebuild positions of strength within their tribes. Above all, the dynamic personalities of the leaders made a difference. AQI had opportunities to compromise with the new movement but distained them. Instead, it opted for an intensification of violence within the Sunni community and declared the Islamic State of Iraq, led by Abu Omar al-Baghdadi. 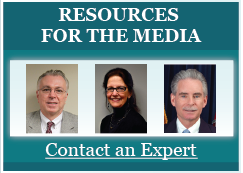 There are questions about how separate this movement was from al-Qaeda, but they are too complicated for the space of a review and many remain subject to debate. As U.S. support for the awakening grew, it led to long negotiations with Malaki. Eventual Iraqi governmental acceptance of the movement was followed by difficult and continuous negotiations to get them paid through the Interior Ministry. At the same time, U.S. commanders took various steps to control death squads and insist that the new forces come into formal relationships with the government rather than existing solely as the militias that, in many ways, they remained. The battle was fierce and for many months swung back and forth with victories on both sides. AQI, as Malkasian continues to characterize the insurgents, still enjoyed significant tribal support. The reinforcement of U.S. troops and some Sunni Iraqi Army units supported the awakening. Gradually, the combination of military victories, economic resources and the skillful propaganda of Sittar began to bring other tribal leaders over to the awakening. By December 2006, some 2,000 additional local police had been added to government forces in Anbar. It is important to underline that all the above developments preceded the surge, decided by President George W. Bush only on January 10, 2007. Initially, most of the surge was directed to Baghdad although some small but important reinforcements were sent to Anbar. The Iraqi government began to squeeze AQI finances through greater control of gasoline supplies and other measures. AQI responded with increasing violence against civilians as well as pro-government forces. This violence did backfire and brought about more resistance, but it is important to note that it came late into the equation and was not an initial cause of the awakening. Gradually the balance swung. More and more local police units were raised, and more tribes joined the awakening, although some members of every tribe remained with AQI, which struck back fiercely. But by March 2007, Malkasian documents that AQI was reaching the breaking point. Loss of resources, decapitation of leaders through Special Forces raids, the flipping of major tribes, and the increasing numbers of local police all limited AQI's ability to move and sustain the fight in the cities. It is difficult, as Malkasian says, to attribute too much of this to the surge. The new forces in Anbar only amounted to a battalion "when five U.S. battalions had been fighting in and around Ramadi for over half a year." What repeatedly staved off defeat was the nature of the awakening tribesmen — their leadership, cohesion and their morale. Again and again they withstood heavy blows such as assassinations, suicide car bombs, and battlefield defeats. Earlier tribal movements, including those that had also enjoyed U.S. support, had cracked under the weight of far lesser reverses. The original awakening tribes kept on fighting. While other tribes backed off after an assassination, they sought revenge. The cohesion of the Albu Risha, Albu Ali Jassim and Albu Thiyab; Sittar's grasp of propaganda; aggressive hits on enemy leadership; robust measures to protect themselves; and the elan of the individual tribal fighter brought success where others had failed. Clearly, this complex of factors would be difficult to reduce to a manual or recreate on other battlefields. The awakening spread to other parts of Iraq. This book, focused on Anbar, treats lightly that part of the story. But Iraq's story is complicated and, as is now well known, did not end with the military success. The account of the breakdown that followed is too complex to recount in detail. Malaki's gradual undercutting of the awakening leaders, born out of suspicion of Sunni power, was part of the story. So too was a recurrence of tribal friction. A significant part of the population remained alienated from the tribal leaders and gave rise to new tensions. While the police in Anbar divided, the Iraqi army weakened. The edge the Americans had trained into the army dulled. New recruits received poor training. Officers became involved in corruption. Maliki gutted the army of the experienced commanders who had been trained by the Marines, especially the Sunnis, and put in less-skilled loyalists. Even the 1st Iraqi Division, once the pride of the army, degenerated. Additionally, the religious leaders of Anbar were at the forefront of the protests. The awakening had raised the prestige of the tribal leaders and suppressed that of many of the religious leaders. The new situation opened the door for them to rebuild their influence and weaken the tribal leaders further. The tribes went their separate ways. The confusion of the situation afflicted the tribes as it had the army. The tribes were still confronting the army when the Islamic State attacked. Under untoward pressure, they succumbed to the fractures that curse tribalism. Over the wars in Iraq and Afghanistan, American soldiers, Marines, and civilians learned to appreciate how culture and history deeply affected their day-to-day work. Thus it is with utmost irony that explanations for the outcome of the awakening, an event used to justify new ways of waging war, have turned to numbers and tactics — standard military explanations — more than how kinship, geography, and culture bind men together to endure hardship. Take away the endurance and an armed force can break, regardless of its foreign support or numerical superiority. This is a lesson that we will lose sight of at our peril. The study of the Anbar awakening is a detailed and sober reminder that a military policy alone is not sufficient to stabilize Iraq, one of the most tribally, religiously and socially divided states in the Middle East. None of the frictions that tore apart the success of the awakening have been resolved. The current prime minister, Haider al-Abadi, is weakening, and the wolves of Shia interparty politics, with Malaki making a strong play for a comeback, are circling, just when enlightened policies are most needed to consolidate the victory over the Islamic State. Most of what is necessary remains in Iraqi hands, as it always has. But surely the United States needs to learn from the past that victory is not simply a matter for the military and that a political policy, now seemingly largely absent, is a vital component of success. In designing such a policy Illusions of Victory remains a most necessary study for the future.